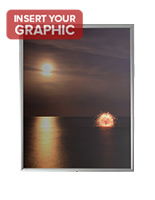 This Poster Case is 1 of Many Outdoor Picture Frames This Site Offers! 1000s of Other In Stock Models Also Available! Swing-open door for easy access to displayed signage. 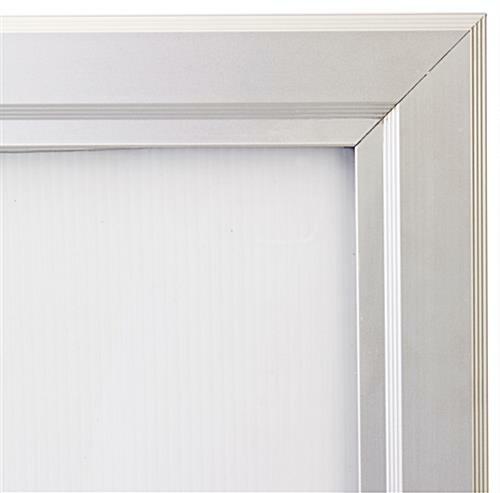 Includes rubber gasket to prevent water from entering frame. 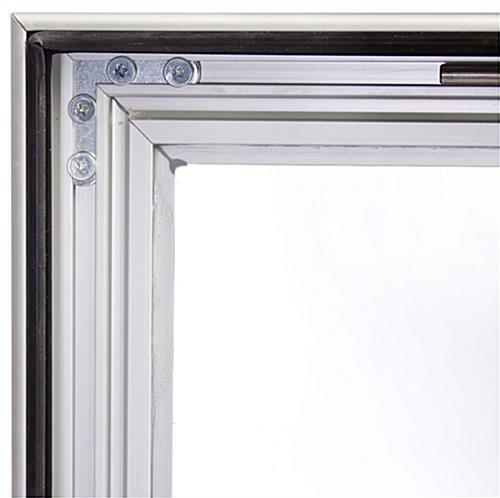 Impact-resistant polycarbonate front pane is ideal for outdoor use. Locking mechanism to prevent tampering. 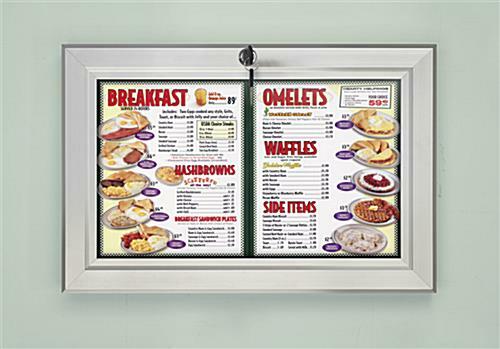 This poster case that is for outdoor use, such as an exterior-rated menu holder, is designed to provide information to the public outside of businesses and restaurants. Each unit is water resistant, as it features a rubber gasket. 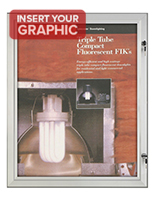 The rubber gasket of the poster case helps to seal off the frame and prevent water from damaging your displayed graphics. 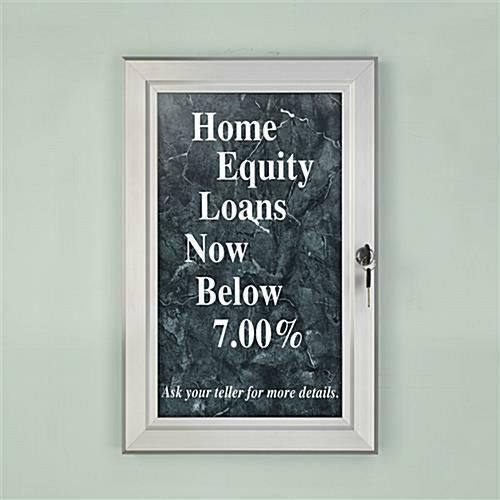 The door of this poster case entirely encapsulates the viewable area for a barrier against moisture. The plastic lens is made from durable polycarbonate, which is an impact resistant acrylic. This acrylic is perfect for outdoor use! 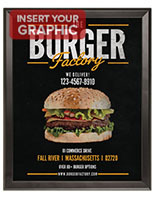 This poster case, also known as a outdoor sign holder, can hold 11" x 17" menus or graphics. 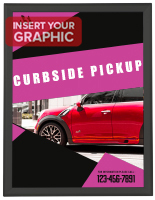 Each unit features easy-to-use clips, enabling users to easily change and update signage. 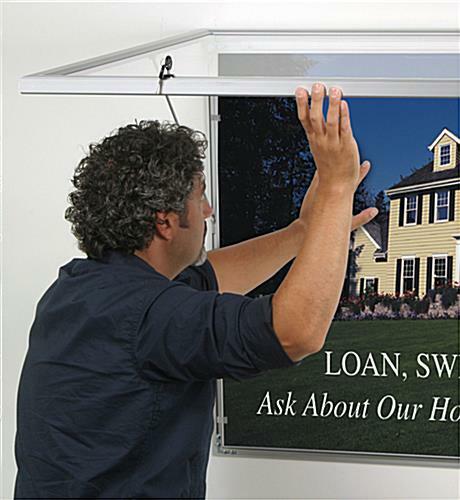 The frames can be mounted vertically or horizontally. Additional sizes are also available. 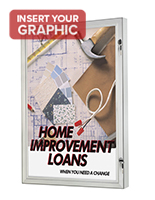 Please see related products for more options. 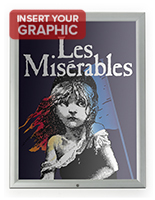 Buy this poster case online today! 13.9" x 19.8" x 1.1"